C-DOT miniPDO is a very efficient, low powered and cost effective indigenously designed WANI compliant Public Data Office. It is designed to meet growing demand of Wi-Fi hotspots in our country First user will download C-WANI App from play store and will register with WANI framework. 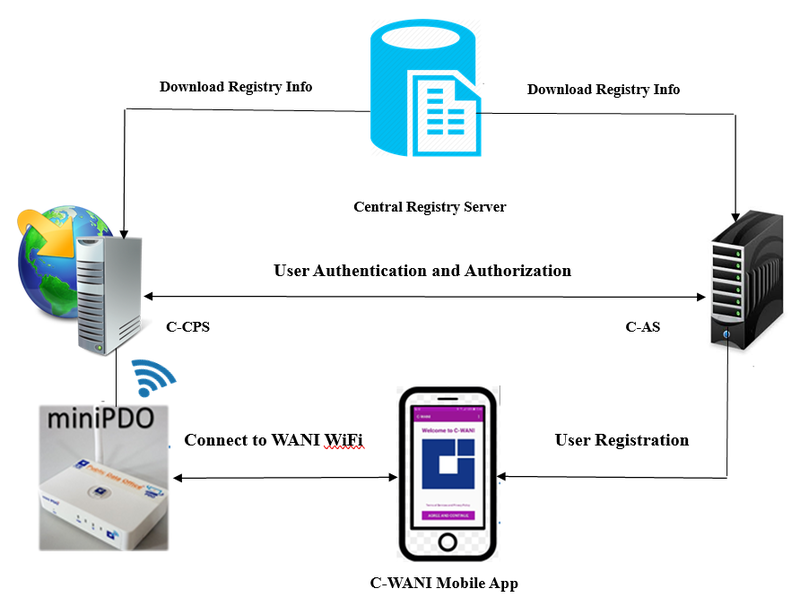 Registered user can connect to nearest WANI compliant WiFi access point. The advantage of miniPDO is that the VLE’s CAPEX reduces substantially as the management functionality of Wi-Fi network and authentication of users is done as per WANI framework. This framework supports interoperability among operators.